Advenser offers comprehensive solutions to the steel detailing needs of a wide array of clientele ranging from fabricators, contractors, designers, and structural engineers. Being a leading steel detailing company we have the technical expertise and manpower to handle steel detailing for 5,000 tons per month. For nearly a decade we have been offering steel detailing services of impeccable quality by strictly adhering to the international industry standards in steel detailing which include AISC, ANSI, OSHA & RSIO to name a few. Advenser has a dedicated team of 50+ steel detailers, experienced Project Managers, QC Head, Team Leads, and Project Leads for structural steel detailing work. All the team members are trained on international standards. This facilitates us to execute over 5,000 tons of structural and miscellaneous steel detailing jobs every month. 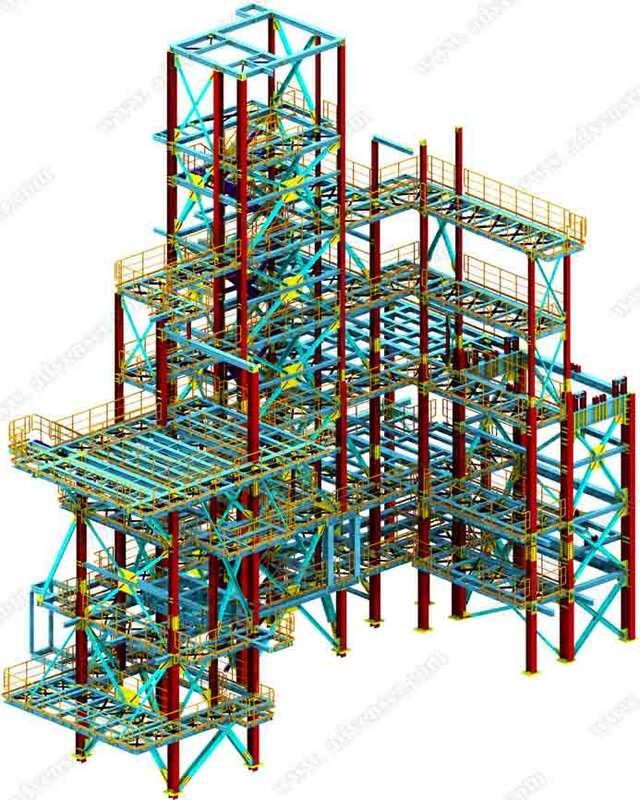 Our steel detailers are well versed in using the latest versions of the software, which includes Tekla Structures, Autodesk Revit, AutoCAD, and Advance Steel. For complex projects, our steel detailers come with unique solutions which help the engineers to effectively manage the design and the fabricators to carry out the manufacturing process. We preserve the tailored construction standards that are followed by the client within the scope keeping up the rules set by standards with advanced designing, detailing and construction. With our wide understanding of international standards, we are able to cater the specific requirements of our clients from various parts of the globe which includes but not limited to United States, Australia, Europe, New Zealand, and Canada. Investing additional time and effort on structural steel detailing definitely saves your time and money at your workshop as well as the site location. The accuracy in the steel detailing streamlines the task at the site location for the workers. Installation cost is drastically reduced as workers have a crystal clear picture on where to place it. We understand that 99% accuracy in our detailing process is not good enough for our clients. That 1% error is often visible, costly and humiliating. This initiated quality checking process for clash detection, or international standards transition by our QC team. Thus assuring error-free erection as well as better aesthetic structures. As a leading steelwork detailing company, Advenser understands your tight schedules and commitments towards the project and make sure that you receive the service delivered on-time.